Did you know that the 3rd weekend in January is when most people give up their New Years resolutions. Although I have said that my experiment is not a New Years Resolution, the fact that I started it on January 1st is not helping. However, I am staying strong. After a dinner party last night and a wedding today, I have still not drunk a drop of alcohol and I have not knowingly let any wheat into my body. 1. It is half way through the month, you have made it this far. What is one drink or whatever you have given up going to achieve in the grand scheme of things. Whatever the reason, I will guarantee that in the back of your mind you will feel you have let yourself down. Keep going for only a bit longer. 2. Think back to why you are doing this anyway. I am sure you had some fairly good reasons. Really try to picture those reasons. Maybe write them down. What ever it takes to re-focus your mind. 3. Life is full of little challenges. If you have set yourself a challenge for January and you complete it, think, how you will be able to tackle the rest of the challenges that crop up over the next 11 months or even your life. Even writing this has made me even more determined. Good luck. One last thought. Surround yourself with people who will support you. The longer you go on the easier it will get. But at the beginning of doing anything ‘different’, for some reason some people (even so called friends), will try to talk you out of what ever you are doing. For example not drinking. Why is it such an issue? Some people just cannot help themselves from trying to persuade to have “just one drink” or “this is a special night, how many weddings/birthdays/team building nights are there this year…….”. Why? because they feel guilty that you are about to do something to better yourself. If what you are doing makes you happy keep going. I have surrounded myself with some of the best people I know for January. Two of which are new to my life, but little do they know they have made a huge impact. No malice and supportive of whatever others are trying to do. I am sure it is to do with their labradoodle……. Life feels great. We have one life. Lets make the most of it and enjoy every second. Today I had a meeting with some potential business partners. I use the term partner loosely, as really they are competitors that we are looking on doing a combined tender with. However, I am digressing. Todays meeting started with a pretty swift verbal punch. I was greeted cordially with a “great to see you, well, you’ve put on weight”. This got me thinking. The truth is in the last 18 months I have put on weight. Not a crazy amount, probably 5 to 7KG. Enough to notice? Yes probably. But, my thoughts ran more to, why do humans feel the need to start a conversation with what is essentially a negative comment? Does it put them in the power seat for the meeting? Maybe it makes them feel better about themselves. I am not sure. But for the first in my life I did not care. I have yo yo’d with weight and struggled with weight loss my whole life. This kind of comment, would have floored me a year ago. I don’t know why I can suddenly deal with it. What I do know is that in just 15 days of this journey I am feeling great. 30 miles today. It’s all looking up. As part of the 5/2 (Fasting Diet), it is recommended that you allocate two days to only have 600 calories. I have chosen Monday and Wednesday. My gut feeling and my ‘guts feeling’ is that it will be better to start the fasting diet on the first Monday of the month. From the 1st Jan 2014 I am going to stick to my other diet goals of no Alcohol and no Wheat, but start the 5/2 diet on Monday 6th Jan.
1. January is the end of a massive glutenous period (well for me anyway) and with the return to work I do not want to feel too flat on the first couple of days and then fail by eating comfort food. From what I have read about New Year resolutions (which this is not….but it does fall into that category as far as Mrs. FatCycles is concerned), once one falls off the rails it is human nature to react by saying well “f*** it I have failed now, so I might as well give up” and that as much as we love our loved ones and friends some of the for some pervious reason want us to fail to make them selves feel better. 2. Starting at the begging of the week is easier psychologically. 3. 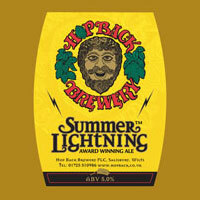 If I am giving up drinking for a month, then knowing myself I will probably try and make up for it with my favourite ale, Summer Lighting, so starving ones self with a New Years day hangover is a recipe for disaster. So for me it is all about baby steps that are exciting rather than daunting. New Years day for me will be without Alcohol and Wheat. Which I think will be hard enough. Wow that makes me sound like an Alcoholic, but lets face it the quiet glass of wine on the eve of a new working year is always quite soothing, but not this year. Mr. FatCycles will be tucking into a hot fresh mint tea and packing my salad and fruit for what will be the most exciting January ever. Good luck everyone and Happy New Year.